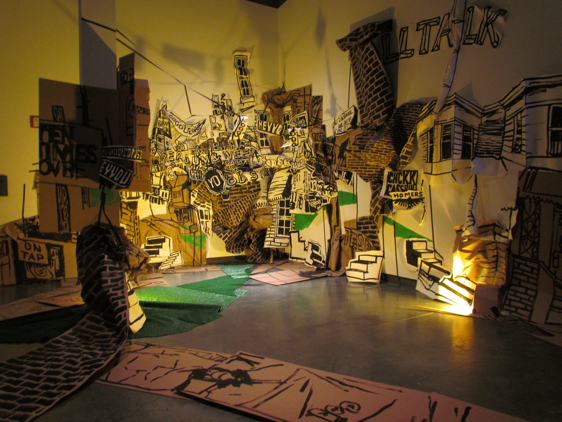 Amanda makes drawings and drawing installations based on her explorations of and encounters with the city. Often working on site, outside or in her car, she reads the landscape for found fragments of language and records the poetics of vacant lots, moveable type signs, billboards, and rowhouses with ink and other water media on paper. She often pieces fragments together in a cumulative manner not unlike the way the urban landscape is collectively authored over time. Her drawing installations expand upon these explorations, layering and stitching together found visual elements of the landscape in conversation with the site against which they have been displaced, using paint, artificial turf, concrete, sand, and trash directly on the wall. For the Arts and Sciences and the advancement of Awesomeness in the universe. Directors Gathering champions theatre directing as the key to new and sustainable theatre making. Advancing the idea of theatre directing as an art, which requires continual learning and development of craft, (DG) creates consistent physical and digital programming which gives those who practice this historically lonely occupation, opportunities to meaningfully engage one another, hone their craft in communion, and contribute to the medium of theatre at large. EMP COLLECTIVE is a group of young artists who joined forces to make art and save lives. You may have spotted one (or many) of our intrepid members acting in a theatre piece, filming a short movie, hanging one of their latest works in the gallery, heading up a writing workshop, scoring a tune for our latest project, handing you a beer after a show, or walking around like a sleep-deprived zombie (don’t be scared, it happens sometimes). EMP COLLECTIVE also runs and manages EMP, a multi-use arts space in downtown Baltimore, where they produce their own varied work and regular programming as well as playing host to a slew of talented local and visiting artists. As a photographer with a masters in anthropology, Josh travels the world to document vanishing cultures and enrich our understanding of social issues through photography and new media. Liz Maestri’s recent projects include VICEHAVEN (Arena Stage/Kogod Cradle Series), INHERITANCE CANYON (Women’s Voices Theatre Festival), SINNER-MAN (Finalist, O’Neill National Playwrights Conference; Semifinalist, The Princess Grace Award), and THE ICE ROOM (Center Stage Playwrights Collective Showcase). Her work has been commissioned, produced, and developed at Arena Stage, Center Stage, E.M.P. Collective, Field Trip Theatre, Great Plains Theatre Conference﻿﻿﻿, The Kennedy Center, Primary Stages/ESPA, Sewanee Writers' Conference, Taffety Punk, Theater Alliance, and Theater J, among others. Awards include three DCCAH Artist Fellowships, the Tennessee Williams Scholarship, Weissberg Foundation Award, the DCCAH Young Artist Program Award, and finalist recognition for the Larry Neal Writer's Award, The Inkwell, and the Salt Lake Acting Company/Davey Foundation Grant. 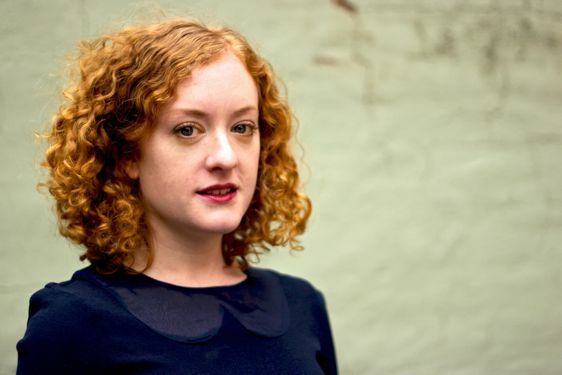 Liz studied playwriting with the 24 With 5 Collective at New Dramatists, and is a 2018 MFA Playwriting candidate at The Catholic University of America. www.lizmaestri.com. The purpose of The New Harmony Project shall be to create, nurture, and promote new works for stage, television and film that sensitively and truthfully explore the positive aspects of life. Our goal is to bring the writers who seek to produce uplifting, high-quality entertainment alternatives to our conference, surround them with professional resources, provide them with the opportunity to develop these works in a supportive and life-affirming environment that further enables their writing creativity and help each writer to tell their story well. Ryan is a freelance photographer and theatre director based in Washington, DC. He is an alumnus of Brown University in Providence, RI and holds an A.B. in Theatre, Speech, and Dance.